Hannah LOVES water. Now that it's summer, her happiest places are the swimming pool and various splash pads. She also enjoys drinking water, and on a hot day, water is usually my choice beverage too. In Canada we are lucky to have clean water come right from our taps, unfortunately this is not the case in all countries around the world. Thankfully the P&G Children’s Safe Drinking Water (CSDW) Program helps provide clean drinking water to people in need through a water purifying technology developed by P&G. Make sure you use the #cleanwater hashtag, along with the daily word hashtag. 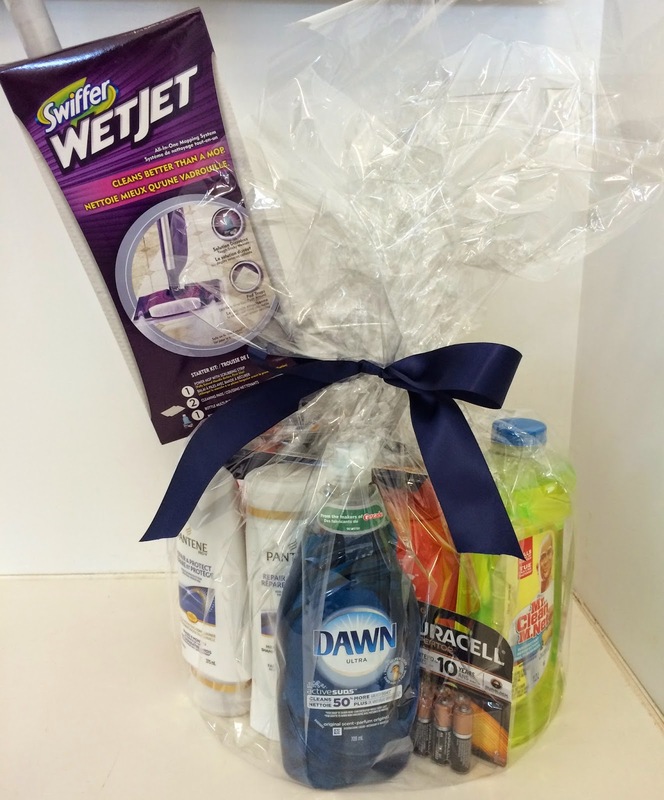 At the end of the challenge, one winner will be randomly be selected to receive a $250 Walmart gift card and a bundle of P&G products (see the photo below). To help bring the program even closer to its goal of donating 25 million litres of water in a 12 month-period, P&G and Walmart will once again open the program up to include every P&G product from July 16 – 31, 2014. One small P&G purification packet quickly turns 10 litres of dirty, potentially deadly water into clean, drinkable water. To date, more than seven billion litres of clean drinking water have been provided by humanitarian organizations across the globe using P&G packets, helping to save an estimated 39,000 lives in more than 75 countries. 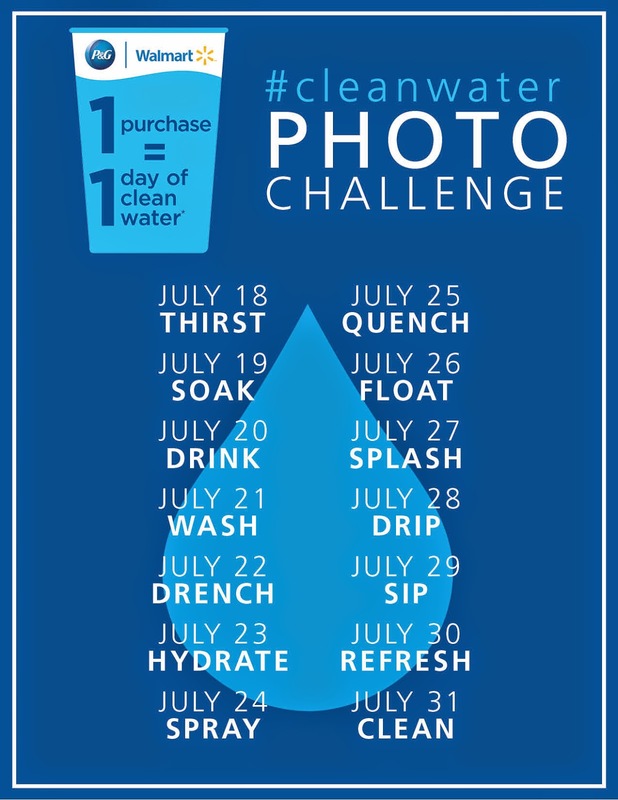 Hope you will join me in the #cleanwater Photo Challenge - would love to see your photos on Twitter!